In all of this year's controversy over Scorsese's loss again for the Best Directing Oscar, I am reminded of the experiences of "12 Angry Men." It was, in many ways, an afterthought when it was first released in 1957 and earned Oscar nominations in only three categories (though they were a big three of Best Picture, Best Director and Best Adapted Screenplay). "12 Angry Men" did not win a single Oscar and yet is now considered one of the finest films ever made. "12 Angry Men"'s brilliance doesn't lie in special effects or razzle dazzle. It is, by all accounts, a simple, straight-forward film that is beautifully scripted and perfectly acted in its portrayal of twelve male jurors deciding the fate of a Latino boy on trial for the murder of his father. The case seems obvious with a weapon and eyewitness accounts, and the initial vote is 11-1. One juror, Mr. Davis, certainly has doubts of the boy's innocence BUT he has enough doubt of his guilt and a sense of responsibility to talk it out as their decision could result in the death penalty for this young man. In his time, Henry Fonda gave magnificent performance upon magnificent performance. I doubt any list of the best actors of the the last 100 years could possibly be considered complete without him. As Mr. Davis, Fonda is nothing short of brilliant. Yet, his brilliance here is an under-stated brilliance. It is not a showy performance or a histrionic performance or a dramatic performance. Fonda plays one man, Juror #8...an architect, who is capable of calm reason and calmly reasons that the facts may not be what they seem. Perhaps the reason Fonda was passed over for an Oscar NOMINATION here is that he was so normal, so everyday that he didn't even appear to be acting. Brilliance. Simply brilliance. The rest of the cast shines as well, fully Jurors 1-12 complement each other perfectly. Juror 1: Martin Balsam...Balsam magnificently portrays a juror who, elected foreman, clearly becomes more and more uncomfortable the more it becomes obvious that he is in over his head. Juror 2: John Fiedler. Quiet & unassuming while preferring to live a life of invisibility as an accountant. Juror 3: Along with Fonda, Lee J. Cobb gives one of the strongest performances here as a man who initially seems to present himself well, has a strong personality and the ability to reason. Yet, as time goes on, he reveals more and more of himself as the cracks beneath the surface begin to show. Cobb's performance is a memorable one and certainly was worthy of a Supporting Actor nomination. Juror 4: E.G. Marshall. An intellectual, somewhat conceited stockbroker with a very calculated approach to the process. Juror 5: Jack Klugman. A man with a similar background as the man on trial...he tries so hard to avoid the conflicts of this similarity that the similarities still rule his decision-making. If you only know Klugman from "Odd Couple" or "Quincy," then you simply must see his performance here. Juror 6: Ed Binns. Simple, determined man. He openly admits everyone else in the room is more qualified than he to serve...yet, he takes his duty seriously and is afraid of being wrong. Juror 7: Jack Warden. This juror has seemingly no moral or emotional commitment to the case and is distracted throughout the proceedings. Juror 8: The aforementioned Fonda. Juror 9: Joseph Sweeney. The senior member of the juror whose obvious wisdom and insight becomes powerfully on display. Juror 10: Ed Begley. An obviously bigoted man who has no hesitation in voting guilty solely on the basis of cultural factors. 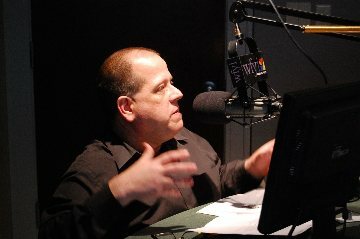 Juror 11: George Voskovec. A watchmaker...careful and precise and willing to see all sides. He is calm and considerate with one exception...when he confronts the apathy of Juror #7. Juror 12: Robert Webber. A young businessman who has learned the art of negotiation means that intelligence sometimes means "giving in." The film takes place largely in the jury room. The vast majority of the film develops between these 12 men. Reginald Rose's script is one of deep revelation, powerful insight and perfect dialogue that is brought to life in one of director Sidney Lumet's finest efforts. With a small budget, Lumet produces a film devoid of special effects, razzle dazzle and physical action that is constantly exciting, constantly suspenseful and interesting and intriguing and commanding. Recent films that have attempted to do similar things, such as Schumacher's "Phone Booth," pale in comparison to the cinematic wonder created here. "12 Angry Men" is a powerful, historical film that brings to light the American justice system AND yet also examines deeply the intimate ways we relate to each other in our everyday lives. Nearly 50 years after its creation it remains a vital and critical piece of American cinema. There are those films in life that simply take your breath away...they change who you are, how you think and how you feel. "12 Angry Men" is such a film.